BOONVILE, Mo. - Investigators suspect foul play involved in the death of a Sioux Falls realtor. But most of the details of 40-year-old Melissa Peskey's death are a mystery Tuesday night. 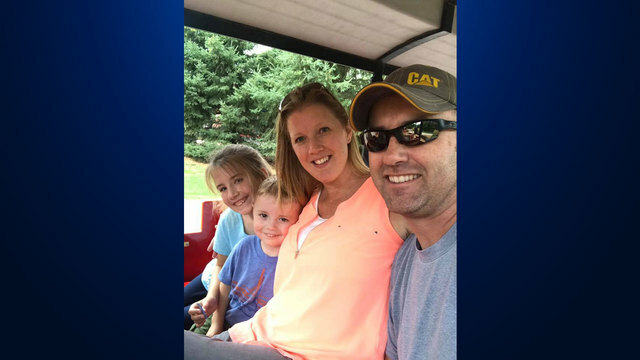 Melissa Peskey and her two children, 5-year-old Axton and 11-year-old Charlee were in a car crash in Missouri sometime between Thursday night and early Friday morning. The children survived. The crash happened by Boonville, which is between Kansas City and St. Louis. KELOLAND's Angela Kennecke spoke with Peskey's husband on the phone Tuesday. Ryan Peskey didn't want to do an on-camera interview, but said investigators have informed him he is a "person of interest" in his wife's death. KELOLAND News interviewed Melissa and Ryan Peskey in June of 2014 about their daughter Charlee and son Axton, who were cared for at Sanford Children's. They told us how Charlee was born prematurely, weighing 1-pound, 6-ounces. "She was the size of a pop can. Our rings went over her wrists," Ryan Peskey said in June of 2014. Melissa spoke to us about her miracle baby and the love she had for her family. "I thank God every single day for our family. We have been through such crazy obstacles and I think it's brought us closer together because of it. They are amazing little miracles and there's nothing better," Melissa Peskey said in June of 2014. But now Axton and Charlee will have the obstacle of growing up without their mother. KELOLAND News also interviewed Ryan Peskey in August of 2014 when he was raising money for the Children's Miracle Network, giving people hot-air balloon rides. Ryan is also a massage therapist and a South Dakota National Guard member. Ryan told KELOLAND News that he is a person of interest because he didn't answer the phone Thursday night at 11 p.m. when authorities called him to inform him his wife of 14-years was dead. He says he was sleeping and call authorities back later. Ryan says he does not know his wife's cause of death. He told KELOLAND News that Melissa was on her way to South Carolina to visit friends. The couple's two children are in foster care in Missouri. Ryan says he will go before a judge Wednesday to ask to bring them home. The autopsy on Melissa's body is complete. Ryan is trying to bring her body back to Sioux Falls for a funeral. KELOLAND News has placed several calls to Missouri authorities to ask how Melissa died and why foul play is suspected. This is a developing story, stay with KELOLAND News and KELOLAND.com for more coverage.